Rockabilly pioneer Wanda Jackson, after taking the stage at 23:35 hours Friday night: “I said, ‘9:30 Club?,’ looked at my watch and said, ‘Heck, I already missed it. '” What a voice, what a lady, a proud daughter of the great state of Oklahoma. Here’s my Washington Post review. No, I’m kidding, of course I didn’t mean that. Unless you really are. In which case, frites and moules may break your bones, but words can something something. I wrote a little preview of the first of the Intersections New America Arts Festival’s three weekends for TBD, which you may have heard lost a lot of very fine staff this week. They’re good journalists and likable people who don’t deserve what happened to them, and I hope they’ll all land on their feet. Here’re my reviews of Keegan’s current two-fer of a recent (1997) Irish play and a brand-new one, Conor McPherson’s The Weir and Rosemary Jenkinson’s Basra Boy, respectively. I was pretty hard on their production of Golden Boy a few months back, so I’m glad these were better. 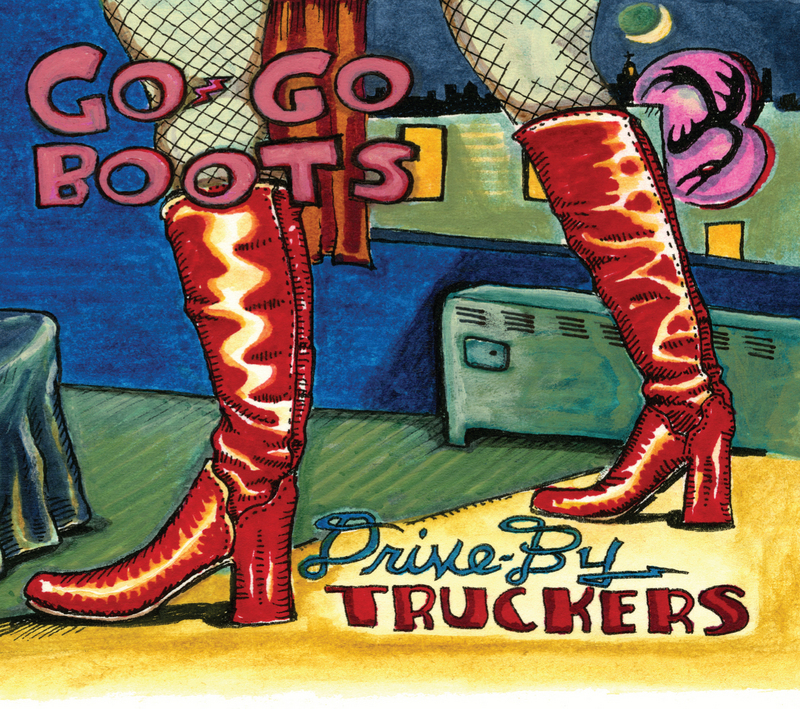 Attention Must Be Paid, Y’all: Drive-By Truckers weekend setlist analysis! So I’m pretty pleased about finally getting to talk to Mike Cooley, who writes and sings songs in Drive-By Truckers, a band for whom I have great, abiding and at this point, very well-documented affection. I’d already had the pleasure of talking to Patterson Hood, who co-founded the band with him, on several occasions. You should never expect it, bu it’s always a wonderful thing when someone whose work you admire turns out to be friendly and accessible, too. I live-tweeted last night’s very fine John Mellencamp concert at DAR Constitution Hall, then tried in the cold light of day to organize my tweets into coherent, largely numbers-based recap of the show. Maybe better just to read the tweets, I dunno. But I know the gig was excellent; more generous and more somber than the 85-minute, hits-only set I somehow had it in my head that Mellencamp prefers. More than half the set was stuff released in the 21st century, and while I delighted to hear “Check It Out,” which I thought for the first time sounds like an old Staples Singers jam, and “Cherry Bomb” — all told, four songs from 1987’s The Lonesome Jubilee, wow; and “Jackie Brown,” too — I thought the newest stuff was the best. I’m always interested in how old-timers with deep and much-beloved back catalogs balance their desire to perform new material with their fans’ presumed expectation that they rock the hits.